Who’s Your Daddy? 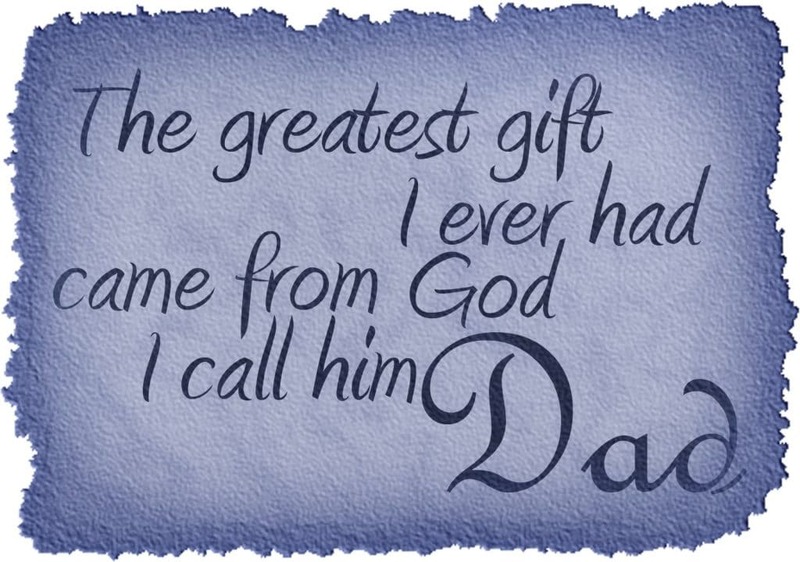 – The Greatest Dad Is God! Whenever Jesus speaks of the “Father” or “God” the broader scope must always be realized. For example, Jesus said that He, the Apostles and Mary Magdalene (the prostitute) all had the same Father. (Matthew 23:9) – And call no man your father upon the earth: for one is your Father, which is in heaven. (John 20:17) – I ascend unto my Father, and your Father; and to my God, and your God. Does the Interpretation Make Sense? A man can be a Father and a Son, but he cannot be his own Father or be his own son! In the Bible, the words Father and Son reflect an individual’s position in a relationship, but they are never the same person, nor does the Bible ever use it in that manner, and certainly not literally! The word “Father” (regardless if it is speaking of God or man) is always reflected as someone who existed prior to their Son’s birth (or creation) and the Father was the means by which their son(s) were brought into existence or created (not the other way around). That means the Son did not exist before or at the same time as did his Father, outside of being a thought. Rational reasoning (or sound doctrine) is critical for this very reason. Jesus was a man (John 8:40; Acts 2:22; Romans 5:15)(1 Timothy 2:5; Hebrews 9:24, 10:12; Acts 17:30-31). We accept this as true because we can explain it logically with supporting evidence. What Is A Son To God? 3. God made Adam, the “first man” created, and Adam is considered to be a “genuine human” and a “Son of God” (Luke 3:38). 4. God also made Jesus (Galatians 4:4; Hebrews 2:7, 9). Jesus is also considered to be a “genuine human” and the “Son of God” and the “second man” but because we know Adam had two sons (Cain and Abel) prior to the birth of Jesus we understand that this position as the second man is spoken from a different perspective than being the second human male species. IMPORTANT NOTE: There are two factors that all “genuine humans” have in common. 1. Adam’s bloodline is the first obvious common connection which makes Jesus and all men “genuine humans” because all genuine humans are descendants linked to Adam’s bloodline. 2. A Dual nature; The second criteria is that all human beings have a dual nature, flesh and a human spirit, one given them of God, which is separate from that of being God himself. Since the Bible says that angels have materialized visibly to men in the past, men such as to Lot and Balaam, this means it is possible for them to do so within our universe or dimension. Yet we also know that, even though our physical eyes cannot see their dimension, we can somewhat view it through our mind. Prophets of old did this with visions from God. Men such as Daniel, Isaiah, Ezekiel, and others were given instructions in this manner. Although angels can move through and in our dimension, we cannot, in human bodies, move into or physically see this dimension or realm that our Creator exists in. Our flesh and blood bodies were not designed with that ability.